For many homeowners here in Toronto, ON, the patio door is used more often than the entry door. This is particularly true during the warmer months. Think about it. How often do you run in and out to grab something from the kitchen when you are entertaining? How often do the children fling that patio door open to race to the swing set? How many times each day do you take the dog outside to go “potty?” It’s true! The patio door is an important one! When the time comes to replace, don’t settle for an identical switch-out. Consider upgrading! 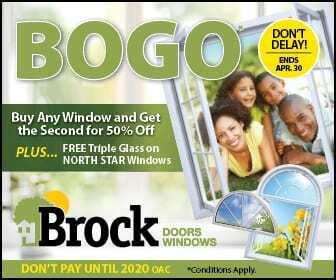 There are several styles of patio doors in Toronto to fit every need—check out two of Brock Doors and Window’s favourites! This style is arguably the most popular among any homeowner, anywhere in the country. They are the most versatile, the easiest to operate, and usually the most affordable. Sliding patio doors make all those trips to take Fido outside super easy. And, our favourite feature about the sliding patio door is all the glass surface space! Zero obstructed views. Maximum natural light. Who says you can’t have your cake and eat it, too? 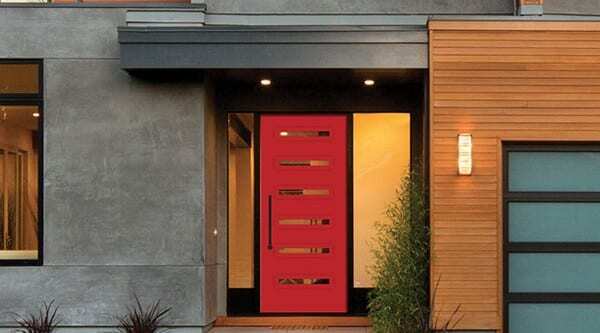 This door is a hybrid: the ease of a sliding door with the luxurious look of the ever-so-popular French door. This patio door adds a little class to a space which demands a higher-end look. It also adds a touch of nostalgia to a cottage design or antique décor. Whatever your taste, this is the perfect combination of practicality and luxury! Now, whichever you choose, there is more to selecting a patio door than the style. Homeowners in Toronto, ON, want quality! When you work with Brock, that’s exactly what you’ll get! Who doesn’t want to save money on their heating and air conditioning? Brock’s high-performance patio doors are designed to keep your family comfortable, keeping the cold and wet weather outside, where it belongs! Of course you love your children and your pets, but when you send them outside to play, you deserve the momentary peace and quiet! Lucky for you, Brock patio doors (and our entry doors and windows) are specifically designed to be a buffer against noisy playtime and Fido’s barking. And, if you’re near a loud intersection, train, or hospital—you can sleep soundly. “One size fits all” is not something homeowners want for their patios. We know! Brock patio doors are available in standard two-, three-, or four-panel configurations to perfectly suit your home’s unique specifications. That’s right! We are so confident in our patio doors that we back them with a transferable, limited lifetime warranty. The time is now to upgrade your patio with a door from Brock Doors and Windows so you can start your lifetime of enjoyment outdoors! We can’t wait to work with you!